Once summer arrives you will want to make the most of your outdoor space for rest and relaxation. The addition of an outdoor TV may be just what you need to achieve this goal. 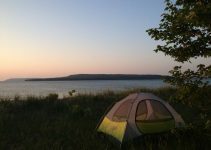 It provides a wonderful way to spend more time with your family and friends. Watching a favorite movie while sitting outdoors can be fun and nostalgic for everyone. You can also invite friends over to see the game while grilling out. The opportunities are endless. In addition to providing hours of fun to the warmer months, an outdoor TV can add to your home’s value. Including a TV into any outdoor space such as a patio or backyard can be easier than you think. 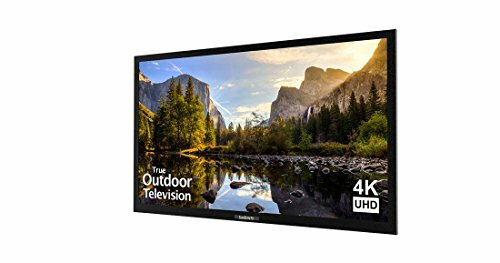 Purchasing an outdoor TV can be a considerable investment, but if you know what you are looking for in this type of device, it will pay off in entertainment for you and your family. There are many models available so knowing what to look for will be extremely helpful. The following information will help you choose the perfect outdoor TV for your area, explain how to care for an outdoor TV, and help you find the best location to position it in. There are certain features you should look for when buying an outdoor TV. A body constructed of aluminum can withstand a wide range of temperatures, and it holds up better when compared to plastic. Look for an IP of 65 or greater as well as a NEMA rating of at least 6. This ensures that the TV is protected against dust and water spray. Anti-reflective screens that are impact resistant are ideal, and know the difference between waterproof and water resistant. A TV that is water resistant cannot be submerged. Look for an outdoor TV that is low maintenance. Check the owner’s manual and customer reviews to find a TV that won’t require excessive maintenance later on. Ones that are ventless and completely sealed do not require filters, external vents, or exhaust fans. These items can be costly to replace. Even simple features like rounded corners are beneficial when it comes to upkeep. This design allows water and dust to easily roll off of the unit. Having a low maintenance TV will free up more of your time to spend enjoying the outdoors with your family and friends. Always consider where you will be positioning your outdoor TV before making a final purchase. A pool side TV is nice, but make sure it is at least three feet away from the water. For safety reasons, you don’t want anyone standing in the water to be able to reach it. The TV should also be far enough away from where children play to avoid having it hit with a stray ball. When mounting one near a grilling area or fire pit, keep it three feet from the flames. North facing TVs are best because the sun will always be at the back of the device. Be sure to chack your local electrical codes for additional information. The SunBrite Outdoor TV is ideal for shaded areas like a covered patio or a screened in porch. The 55 inch, LED backlit, 4K ultra HD screen is 30% brighter than your typical indoor TV. This provides you with an incredibly vivid picture you will be able to easily see in all outdoor environments. The Veranda model features built-in speakers along with an ample media bay for all of your streaming devices. These TVs components are protected with a rust proof aluminum exterior that keeps out snow, rain, dust, extreme temperatures, salt, and bugs. In addition, it has a weatherproof cable entry system typically found on premium TVs. To ensure compatibility with your streaming services and 4K sources, the SunBrite Outdoor TV supports HDCP 2.2 and HDMI 2.0. It is also equipped with two USB and four HDMI inputs in order to provide connectivity for a variety of devices. This outdoor TV measures 50 inches high and 29 inches wide with a depth of 3.86 inches. It weighs 51 pounds. 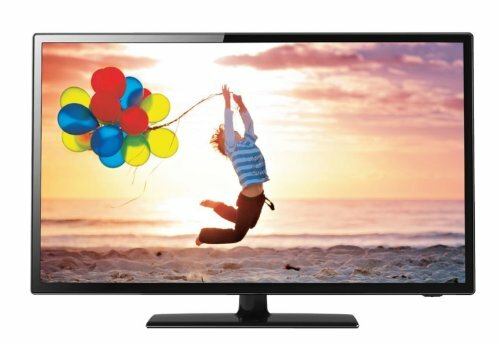 The G Series 32 Inch Outdoor HD TV by Mirage Vision is used and trusted by well-known clients like Universal Studios, Disney, The U.S. Army, Kennedy Space Center, NASA, CBS, and Sea World. This is the world’s thinnest outdoor TV. 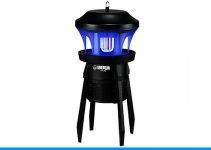 It has a depth of only 2.7 inches which makes it fit in nicely to many positions around your patio, backyard, or porch. This model has been customized specifically for outdoor use, and it is resistant to dust, rain, and insects. The temperature rating ranges from -25°F to 145°F which means it is well suited for just about any environment. It offers 16.7 million colors with enhanced brightness and TFT Active Matrix Liquid Crystal in its LED Backlit Modulation Technology screen. The higher contrast makes it easy to view outdoors. This TV uses 40% less energy than comparable TVs without the use of any mercury components. It measures 30 inches wide by 18 inches high, and it weighs 18 pounds. The G Series 80 Inch Outdoor LED HD TV also hold claim to being one of the world’s thinnest outdoor TVs just like the G Series 32 Inch. It has many of the same features, and it is used by several of the same well-known clients such as Universal Studios, Disney, The U.S. Army, Kennedy Space Center, NASA, and CBS. It has a depth of only 3.8 inches which makes it perfect for many outdoor areas. It has been altered to resist dust, rain, and insects. The back panel is removed in order to apply a silicone sealant to all electronic components. A proprietary membrane is then used to cover all ventilation holes except for those along the bottom. These are left open for drainage and for heat to escape. The TFT Active Matrix Liquid Crystal provides one billion colors you can vividly see on the Enhanced Brightness LED Backlit screen. This outdoor TV uses 40% less energy than comparable models, and it has a higher contrast without the use of mercury components. It measures 73.3 inches by 43.8 inches, and it weighs 115 pounds. 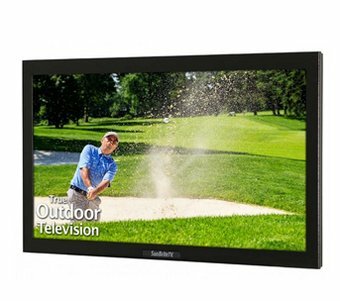 The SunBrite 43 Inch Outdoor TV is ideal for any covered patio or screened in area. This Veranda 4K UHD TV is designed for use in shaded areas with direct LED backlight. This gives you a picture that is 30% brighter than your average indoor television. Brightness is a must when watching outdoors where natural sunlight can over power the screen. It is protected against snow, rain, salt, dust, insects, and extreme elements due to a durable aluminum case that works much better than plastic encasements found on indoor sets. The speakers are built-in, and you can use many of the most popular streaming devices with the generous media bay. It supports HDCP 2.2 and HDMI 2.0 to ensure you will find compatibility with all 4K sources. This particular outdoor TV includes two USB and four HDMI inputs so you can easily connect any gaming device, DVD, OR Blu-ray player. The SunBrite 43 Inch Outdoor TV measures 39 inches high, 23.2 inches wide, and has a depth of 3.75 inches. It weighs only 30 pounds which makes this model perfect for wall mounting. 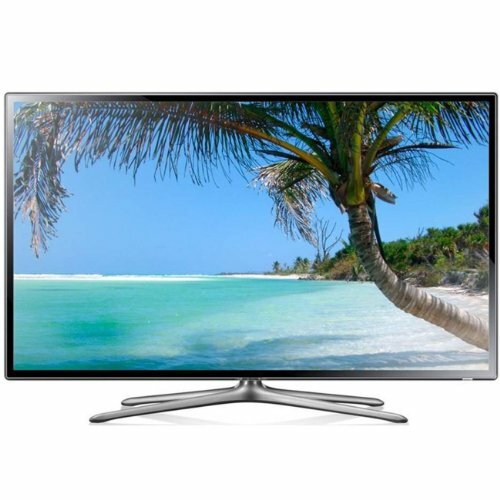 The SunBrite 49 Inch Outdoor TV Pro HD LED TV is a durable device that is water resistant. It is specially designed to withstand snow, rain, extreme heat, and other forms of inclement weather. It also guards against dust, humidity, and insects. The screen is protected from isotropic blackout with a direct sun readable technology, and the tempered glass shield offers the LED screen additional protection when placed in active environments like patios, decks, and poolside. Internal components are shielded by a powder-coated aluminum shell. The 49 inch full 1080p HD LED screen is ultra-bright with an anti-glare feature. You’ll discover it has excellent outdoor quality when it comes to viewing, and with a built-in SunBrite heating and cooling system it can operate in temperatures ranging from -40°F to 122°F. There is a generous bay with easy side access for all of your streaming devices and cables as well as a media bay power port for your most popular media players. It measures 44.61 by 26.11 by 5.61 inches, and it weighs 64 pounds. 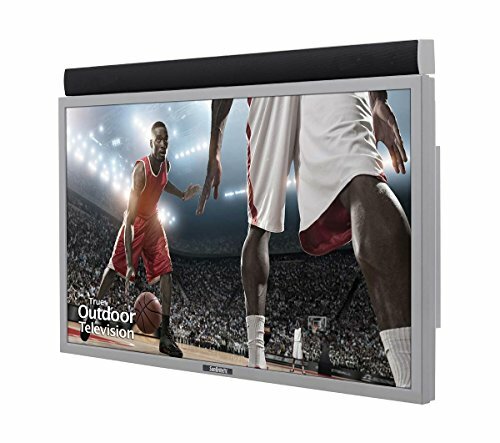 The 32 Inch SunBrite SB3270HDSL Signature Series All-Weather LED Outdoor TV features an aluminum enclosure that protects the internal components from dirt, rain, insects, and scratches. 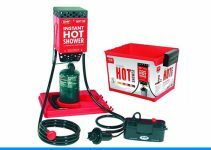 An internal thermostatically controlled heater further protects the components, and the dual fan airflow system allows the device to stay dry and cool. This TV can withstand temperatures that range from -24°F to 122 °F which makes it suitable for most all outdoor environments. A table top stand is included in your purchase for added convenience. The innovative cable entry system is watertight and includes a pass through design that will keep all cables dry while still allowing you to have easy access for hook-ups to all your favorite streaming devices and gaming consoles. Even the speakers are weather proof as this particular outdoor TV is designed for permanent outdoor installation. It measures 29.86 inches wide by 18.37 inches high with a depth of 3.76 inches. It weighs 26 pounds, and the weather-proof remote control and outdoor dust cover are included.